You should come to the Radiology Department for 9 am on the Monday that you begin your one week Medicine 2 rotation with us. Make your way to my office (opposite Conference Room A). I will meet you there, give you your schedule for the week and give you a tour of the department. In the event that I am away, you will be met by one of the honorary lecturers. Your schedule for the week will see you paired with one or two other students, and rotating around each of the imaging modalities. You will get to spend a half day on each (radiography, ultrasound, CT, MRI, and fluoroscopy), as well as a full day in Interventional Radiology (IR). 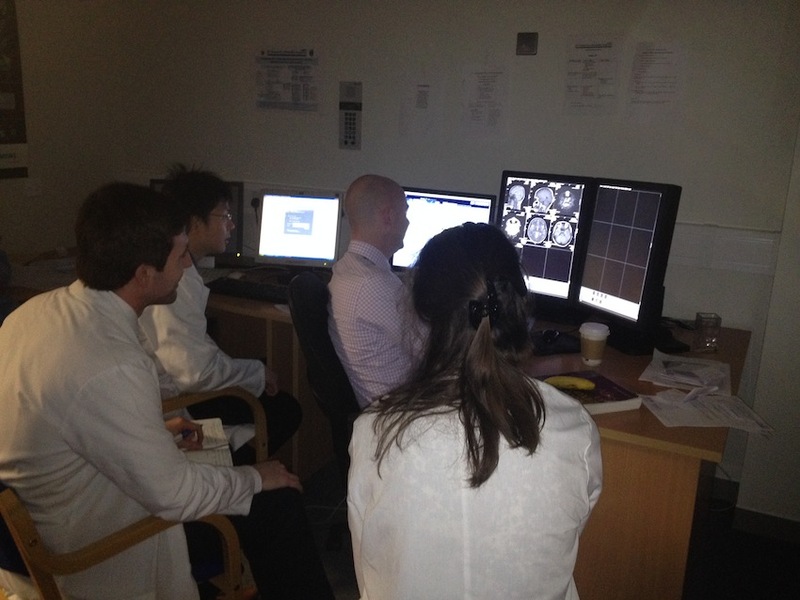 During the week, one of the Nuclear Medicine consultants will also take you on a tour of the Nuc Med department, followed by a tutorial with some sample cases. As it is a week of ‘imaging’, you will also be spending a half day in the cardiac catherization lab (on the second floor in the main hospital building) and in the endoscopy suite. For the majority of the rotatation, you should wear your white coat. When you are in IR, you will need to change into scrubs, and wear a theatre hat and shoe covers. These are all available in the changing rooms beside IR. 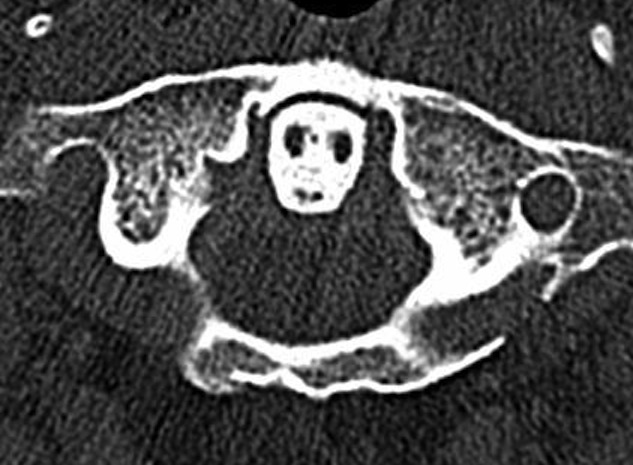 For CT, MR and Ultrasound you should spend most of your session with the registrar who is assigned to report that modality, but it would also be worthwhile observing at least one or two scans being performed. There are frequent US- and CT-guided biopsies, and you should try to observe these if they are scheduled during your time on that modality. For radiography, while you are welcome to observe some plain films being performed if you wish, you will probably gain much more by watching some films being reported on by the registrar in the ‘clinic’ (reporting ED cases), which is opposite CT on the second floor. A variable number of procedures takes place each day in the fluoroscopy room; on some mornings or afternoons, there may be very little scheduled for this room. If this occurs while you are scheduled there, please rotate to one of the other sections of the department. To maximize the benefit from your time in nuclear medicine, please take the time to have a look, in advance, at Dr Skehan’s excellent website (nuclearmedicine.ie). This has been specifically designed for UCD medical students in your year, and provides a fantastic primer. The site explains practically everything you need to know about nuclear medicine, and illustrates this with dozens of diagrams, photographs and interesting cases. The honorary lecturers will provide two case-based tutorials during your week, and you will also be given a Radiology topic to read up on and to prepare a short presentation on. You are required to attend at least three of the many Radiology interdisciplinary or multidisciplinary conferences that take place each week. These usually begin at 8 am – a full schedule is provided here. Please be aware that, at very busy times, registrars on certain modalities may not be able to spend a huge amount of time teaching you, however we are confident that you will finish your week with a significantly increased knowledge of imaging and image-guided intervention techniques, as well as basic image interpretation. We are also very confident that you will enjoy the week and, with any luck, at least some of you will want to be Radiologists by the time you leave us.